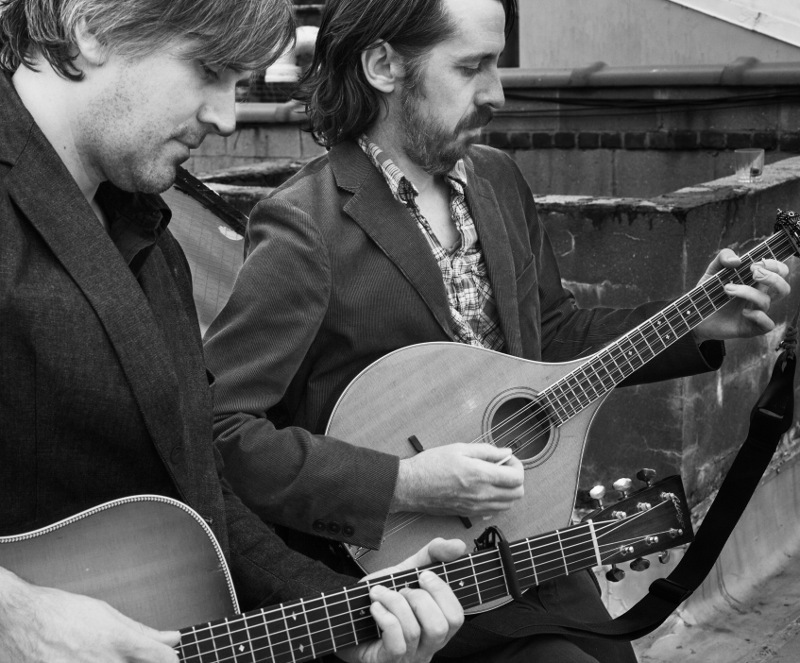 The Murphy Beds (Eamon O’Leary & Jefferson Hamer) present traditional and original folk songs, rooted in the style of the Irish folk revival, with close harmonies and deft instrumental arrangements on bouzouki, guitar, and mandolin. Prepare to fall in love with their intricate instrumentation and beautiful harmonies. Eamon O’Leary started playing Irish music while growing up in Dublin through his friendship with the Mayock family, traditional musicians from County Mayo. When he moved to New York City in the early 90s, immersing himself in the city’s traditional music scene; and became a well known session leader. Since then he has traveled extensively with a wide array of great Irish musicians and has taught at many traditional music programs throughout the United States. Jefferson Hamer is a guitarist and singer based in Brooklyn, NY, well‐known for his work with songwriter Anais Mitchell on their album “Child Ballads” and with Great American Taxi. The two met in New York at one of O’Leary’s sessions and recognized their deep mutual love of traditional songs from Ireland and the British Isles and the ways in which those songs translated to traditional American music. In addition to their main stage performance, The Murphy Beds and friends will be playing a called dance at the JACC for this year’s festival.